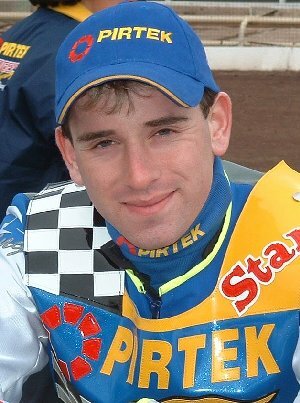 Having signed a two year deal with the Tigers before the end of the 2003 season Ricky will also be doubling up with Elite League Peterborough when fixtures allow. During the closed season Ricky suffered a broken collarbone in a spill on the training track, but is fighting fit and raring to go for 2004. 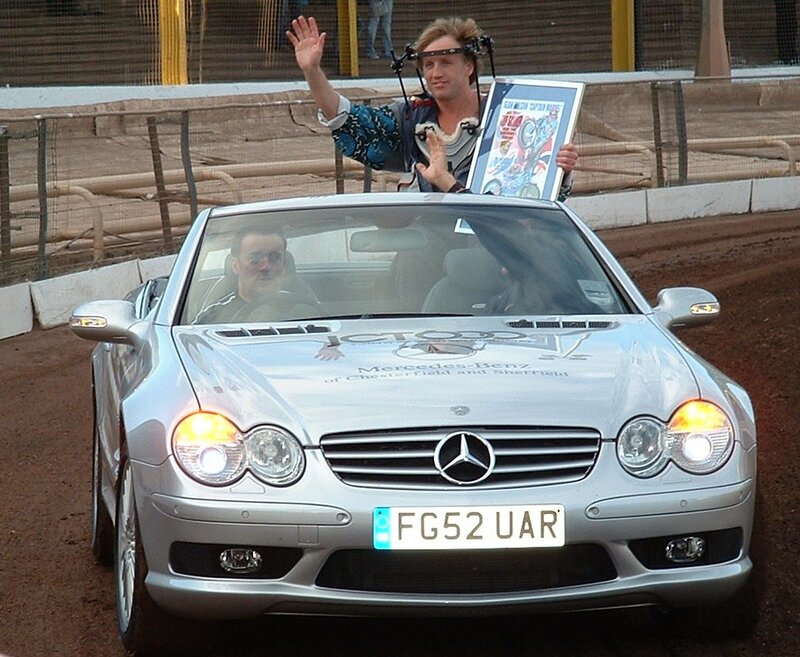 Ricky is doubling up for the Peterborough Panthers in the Elite League this year. His World Championship aspirations came to a premature end in the British Qualifying round at Kings Lynn where a blown engine restricted his score to just 5 points. James gets the nod for the final second-string position in 2004. 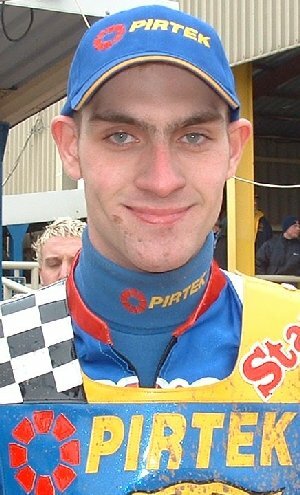 He finished the 2003 season in style with some breathtaking performances around Owlerton but needs to improve his away performances. The May green sheets see James relegated to reserve but with just one away fixture his average improved and he returned into the body of team from the 1st of June. Disappointing returns from the Reading and IOW away fixtures led to James being dropped despite a paid maximum in the home league match against Newcastle. With Shane Colvin struggling to make an impression James was recalled prior to the Hull match, which was rained off. His first match back was at Glasgow where he only scored 1+1 in the 51-42 defeat, and his home debut was marred by two shed chains and a fall against Exeter. A great performance against Newport scoring 10+4 in tricky conditions saw James back on form and picking up the referee's 'man of the match' award. Shane Colvin joined the Tigers on 21st June 2004 as a replacement for the dropped James Birkinshaw and made his debut in the Premier Trophy semi-final against Exeter at the County Ground. Shane has had spells with both Reading and Workington in the Premier League, and joins us from Conference League Carmarthen. Three points in his first meeting for us proved to be the highlight in his short stay at Sheffield as he struggled to come to terms with the Owlerton circuit. Having had his engines specially set up he never got a chance to use them as the next Thursday was rained off, and he was dropped to allow James Birkinshaw to regain his place the week after. Hopefully Shane will soon get another team place, and the opportunity to show us what he is capable of. André soon regained his form and his battles with Billy Hamill were the highlight of the 75th Anniversary meeting in April. Following Sean Wilson's injury André has assumed the skippers role and his first race as captain saw him team ride Ben Wilson home for a 5-1 ahead of Berwick's Michal Makovsky. Having doubled up for to the Tigers & Prowlers in 2001 Andy became a full time Tiger in 2002. Last season saw him competing with Ricky for the third heat-leader slot with some powerful and speedy displays. 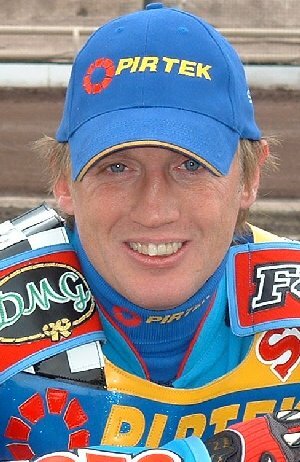 When he claimed 19 points and a Golden Double Tactical Substitute win at Kings Lynn as the Tigers knocked the Stars out Buster Chapman was so convinced that Andy was on an illegal engine that he coughed up £550 for an official protest. The engine was found to be 498cc and both Andy and his tuner were well pleased by that. After all the hassle it caused it was actually quite a compliment! 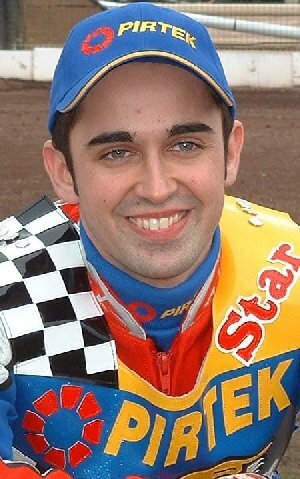 Andy rode for the Great Britain U21 team in the test match victories against Sweden scoring 7 at Reading and 8 at Wolverhampton. 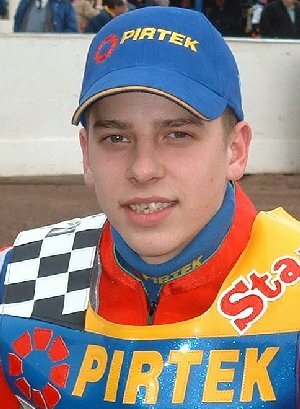 Starting as second-string in 2004 he will be keen to renew competition with Ricky for that third heat-leader slot. Andy doubled up for the Swindon Robins in the Elite League, mainly away meetings as the Robins race on Thursdays too, but fell victim to the Robins attempts to strengthen their team following poor results and injuries. 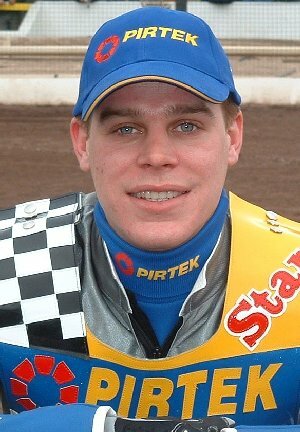 Eastbourne were however quick to step in and he has joined the Sussex team to replace Ed Kennett. 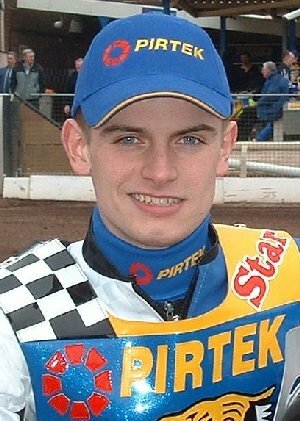 Andy finished joint top-scorer in the British Qualifying round of the World Championships at Kings Lynn losing out to Chris Neath in the first place run-off. While Andy's form for Sheffield seemed to stall he had some excellent meetings for Eastbourne until he broke his leg avoiding his fallen team mate at Arlington in August. After a slow start to the 2004 season Ben was showing some real form when he crashed in the 75th Anniversary meeting at Owlerton. Severe bruising meant he missed the Tigers first league fixture at Rye House on Easter Monday. 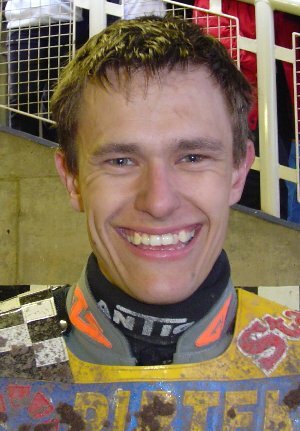 Ben qualified from the British U21 final at Rye House but on a rain soaked track at Rawicz in Poland he could only muster 6 points ending his World Championship aspirations for this year. He bounced back by passing Richard Hall (twice) in the final to win the Jeff Hall Suzuki 'Top Gun' Individual Championship in front of his home crowd. Sean is currently in training and working hard to regain full movement in his neck. He had an after meeting spin following the Young Shield match against Reading at the end of September and it was great to see that unmistakeable style was still there.